Here we have a Lovely Vintage Lady on Moon Photo! This is such a cute picture! 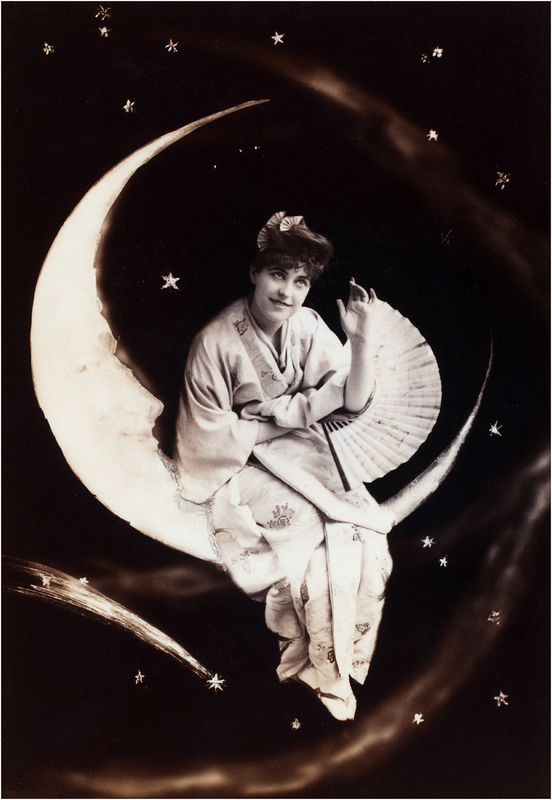 The picture shows a young Woman in a Kimono seated on a Crescent Moon. She has Stars all around her. Nice to use in your Collage or Mixed Media Style Projects. Pretty Victorian Feather Fan! Sled Clip Art – Line Drawing Vintage Aged 1849 Paris Biscuit Label!